Forum guidelines are intended to preserve the professional and educational purpose and intent of this Electronic Email List Serv. All statements on the listserv must be kept professional, and personal statements or exchanges that are designed to injure or provoke another party must be avoided. Personal and non-professional exchanges may be, depending on their nature, inappropriate and any members who engage in these types of exchanges will receive a verbal warning. Members who have concerns should contact us at IFMNTRD@gmail.com rather than engage in any form of negative discussion on the EML. Should you wish to share information regarding any educational offerings (conferences, webinars, any training in general), please do not post directly, but instead share with us at IFMNTRD@gmail.com and we will forward what we believe is most appropriate for the group. 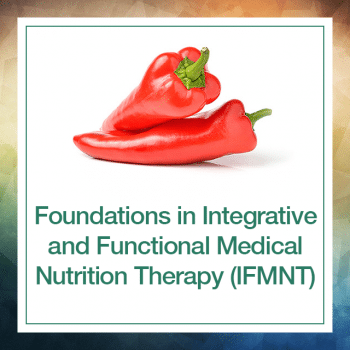 NLFN Forums are meant to be a vehicle in which to network with your peers and to share pertinent information regarding anything specific to Integrative and Functional Medical Nutrition Therapy or Medicine in general. This will also serve as a place for me to share class announcement as well. Please take a moment to introduce yourself when posting to the forum for the first time. If you would like to receive notifications at another email address you will need to change from the email you have on record to us. Look for “email address” this is where you can change your email address you wish to receive notifications at. **NOTE: If you change your email you will also change where your purchase receipts or any notifications we send to you through the Nextlevelfunctionalnutrition.com website go as well.